Boston 1775: Symposium on Washington and Women at Mount Vernon, 2-3 Nov. Symposium on Washington and Women at Mount Vernon, 2-3 Nov.
Last year I had the honor of speaking at the George Washington Symposium at Mount Vernon, organized by the Fred W. Smith National Library for the Study of George Washington. 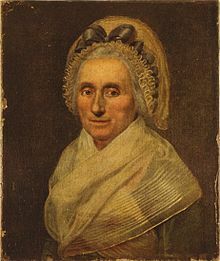 Thus wrote George Washington in a heartfelt 1796 letter to his step-granddaughter Eleanor (Nelly) Parke Custis on the subjects of love and marriage. Although the Father of Our Country was a leader among leaders in a male-dominated world, we know that he enjoyed a number of complex and meaningful relationships with women from all stations of the socially-stratified eighteenth century. Join leading historians and academics for an enlightening look at a wide variety of women from the General’s personal orbit, including his often misunderstood mother, an admiring poet, social confidants, a traitor to the Revolution, and a defiant runaway slave. We will also examine the memory of Washington through the legacies of his adoring step-granddaughters and the Southern Matron who led the charge in the 1850s to rescue his home and final resting place. These symposiums are designed to bring the latest findings and analyses of historians to the community of Mount Vernon and its supporters. Attendees fill a large auditorium, reflecting the interest in all things Washington.